This blog focuses on companies who want a website built from the ground up with SEO in mind. The cost of a website is often the first question clients ask when they begin the redesign or development process. Choosing a company that can provide all of your development needs while staying in budget and on time is important. A wide variety of features can be built into your website. The main feature will often be which CMS (content management system) you want to use. Content management systems can be open source, closed source, or custom. Make a list of all the features you want your website to include. Do you want a blog associated with your site? Will it be an e-commerce site? Will you include Twitter integration? Some other features include contact forms, sliders, carousels, galleries, lists, login permissions, content rotators, and many more. The visual interface is created from the elements that the user sees upon navigating to your website. The preliminary designprocess includes content mapping, wireframes, and page mockups. The final design interface includes look and feel, branding, layout of content, page style, photography, custom graphics, and responsiveness; providing the complete user experience. All of these factors affect how much your website will cost. Development determines how well your website will work and how optimal the user’s experience will be. In this step, your marketing company’s development team will bring the design to life. Development includes everything from platforms to setup to configuration and plays a big role in determining the cost of your website. 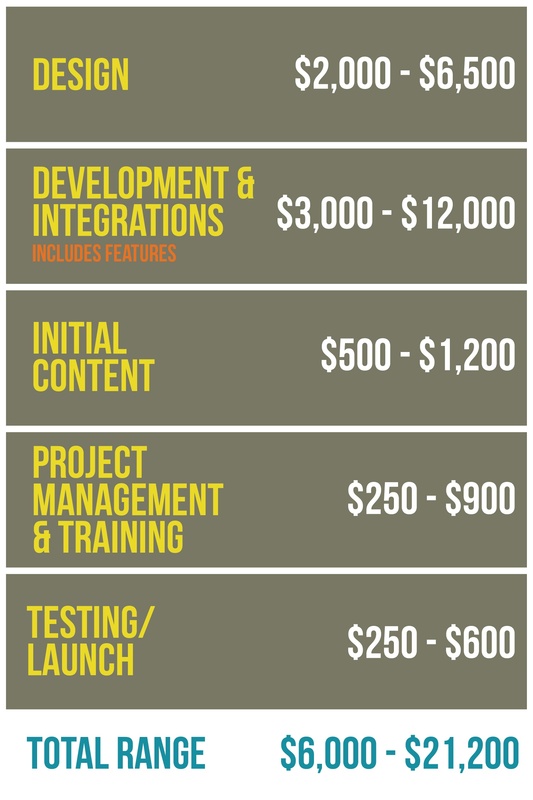 Project management is also a factor in determining your website’s cost. Project management encompasses the meetings necessary from the beginning of your website’s creation to the end. Training sessions to educate your internal team are also included. Testing occurs before launching your website. The website will be tested for responsiveness (link to responsive blog once up) and load time. If the website passes each of the tests, it can be launched. Post-launch, more testing will take place to ensure the website is performing up to standards. In addition to the above prospective costs, you will have after-launch performance reviews and website tweaks. During this process your marketing company’s team will evaluate metrics and make recommendations on how to improve your website. If you are ready to grow your business online, consider investing in a website redesign or development project. Websites serve various purposes and your website’s purpose will depend on your business goals. Determine what type of website is right for you and take into consideration the different factors that affect the overall cost of your website. Next, work on finding a web development company that can lead you in the project, ensuring all of your needs, including budget, are met.